This was supposed to be something done for Complex for the 10th anniversary of Hustle & Flow (July 22nd) but the article got axed so here it is for you all to enjoy. I was especially proud of it because it was supposed to be my first solo article. Did the research, wrote the copy, and everything. And trust me, I’m far from a journalist. Last thing I research/wrote this extensively for was college essays. Ah well. I guess that’s how the business goes sometimes. Done for my live stream of drawing last night, ranging from obvious influences such as bunnies, Black Dynamite, Attack On Titan, and Drive. BUY THE PRINT ON SOCIETY6! No. 204 - "The Wade Wilson Theory"
Recently I was tasked by the good people at Green Bench Comedy to do the art for the new web series Black Angus, a tale about bum dude who gets superpowers through tainted Sloppy Joes. The illustration I was tasked to do range from Black Angus saving the day to him hanging out people like Drake or Miley Cyrus. RED: Chapter Two - ON SALE NOW! After about two years of work, the second book in the RED series, titled “Chapter Two (Love + Lust)”, is finally out! 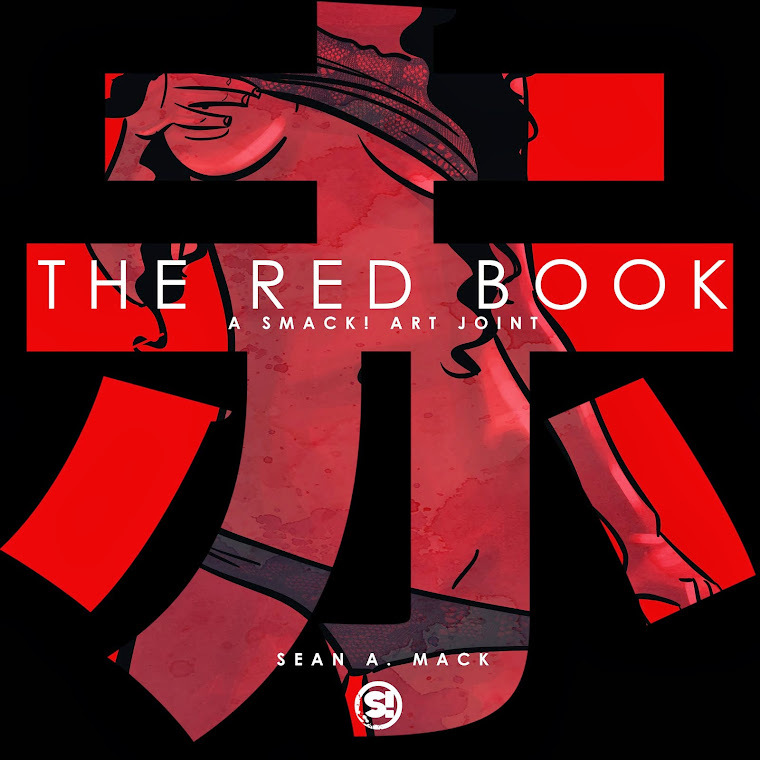 The book continues the tradition of its predecessor with its vibrant illustrations of beautiful women who helped inspired art including L. Shima and Vanessa Veasley and also by the amazing photography of Andres Latorre,Bree Gant, and Darius Baber all the while celebrating the ideas of love, lust, and the color RED. Thank you to everyone who’s supported and helped with the RED series since I started it back in 2013. I couldn’t imagine it going this far and who knows where it’ll go if this book catches wind of some success. Now go get yourself a copy! 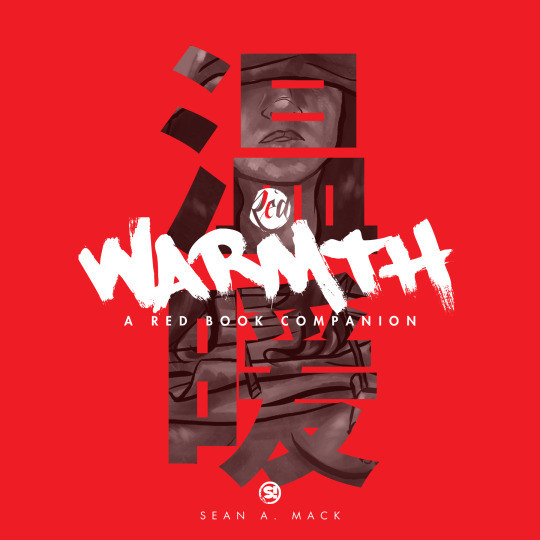 Along with Chapter Two, the physical version of the mini-book companion "Warmth" is also finally on sale! M.E.C.C.A CON - Sept. 19th! If you’re anywhere near Detroit on Sept. 19th and you’re looking for a convention for comic creators of color then definitely stop by M.E.C.C.A Con this year at the Detroit Public Library. I’ll finally have a booth set up out there and will be slanging art prints, doing sketches, and might even have some copies of RED: Chapter Two on deck as well. Much props to the awesome Maia “CROWN” Williams for putting this event on and letting me be a part of it. Ro Spit - "What You Want," "Right Here"
I got the chance to work with Michigan emcee Ro Spit on his latest album The IV Life. For the album he wanted artist to illustrate their own rendition for every song and I was tasked with handling two of them - "Right Here" and "What You Want." For these, inspirations came from a mixture of things like the movie Paid In Full and the classic Maxell "Blown Alway Guy" advertisement from the 1980's. A week from today, Chapter Two (Love + Lust) is finally dropping (along with the physical version of Warmth) on Amazon! But in the mean time you can still preorder both books and received a personal package from me that includes a "thank you" sketch and maybe something a little extra as well. No. 202 - "Freaks, Geeks, and Furiosa"
Nothing says “my hero” like army jackets and making meninists remember Mad Max: Fury Road. Hip-hop lost an underground great today. Rest in peace to the gawd Sean Price. I was tasked to design a logo for the new brand of my friend Milan Holmes, a budding make-up artist and Beauty Director from Flint, MI. For the look of the logo, she wanted it to invoke a gothic feel to. I've also done a previous logo for her SilentFoxBomb Studios brand, so I also incorporated elements of a fox tail in the design as well. It started off with a few type treatments and using the "fox-like" colors until we decided to with a simple black and white treatment. No. 201 - "BasedGawd's Curse"
Illustration and "guide" I was tasked to put together for a collaboration between Complex and Nike focusing on the new Jordan Super.Fly 4s.